Thank you for your visiting and your interest in iMyFone products! This special offer has already expired. 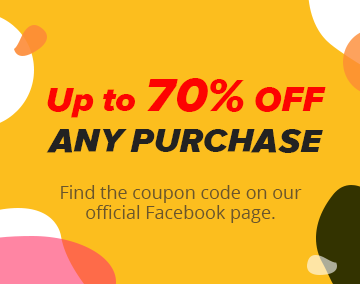 You can also visit iMyFone Store to enjoy other special offers. Get a FREE License of iMyFone D-Port! Selectively transfer your iPhone/iPad/iPod data, iTunes backup and iCloud backup to computer. Back up the whole iOS device or only WhatsApp / WeChat / SMS / contacts. Access iTunes & iCloud data without having iOS device at hand. Include all the functions of iMyFone D-Port. Restore iTunes/iCloud backup, or full/partial backups made by iMyFone D-Port to your iPhone. Restore only contacts, WhatsApp, WeChat or messages backup without data losing. How to Get iMyFone coupon code? Step 1: Log in your Facebook account. Step 2: Like our official Facebook page. Step 3: Get the coupon code from our Facebook pinned post. Step 4: Copy and save the coupon code. * Coupon code is only valid till Sep 22. Recover lost or deleted messages, photos, contacts, notes, WhatsApp messages from iPhone/iPad/iPod touch. Permanently and selectively erase iPhone messages, contacts, call logs, photos and videos, browsing history, WhatsApp & WeChat data, etc. Fix your iPhone back to normal, like iPhone Stuck on Apple logo, black screen, iPhone frozen, etc. Can't remember the passcode on your iDevice? Use the tool to help you unlock iPhone passcode in few minutes. Transfer music, videos, photos, playlists, ringtones, etc between iOS, iTunes, and your computer. Recover lost or deleted WhatsApp messages, and back up your WhatsApp messages to computer. Free up iPhone/iPad/iPod storage by cleaning junk & temp files to make your iPhone run faster than ever. Repair any iTunes issue without data loss, such as iTunes couldn't connect to iPhone, or iTunes won't install or update.